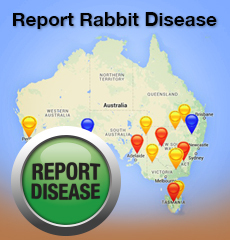 You will need to Register your details (name and email address) to enter sightings, damage or control data in RabbitScan. Please complete the Registration Form (located at the top right of this page). If you have previously registered and have forgotten your Username or Password, simply contact us via the Forgot Password page. Important note: Data you collect and enter on 'rabbit sightings and density' in RabbitScan will be visible to the general public. However, any data you enter on 'damage' or 'control' will not be visible to the general public, and will only display for you when you log-in.